A Healthy Eating Week in Junior Infants! Junior infants have had a very exciting week. 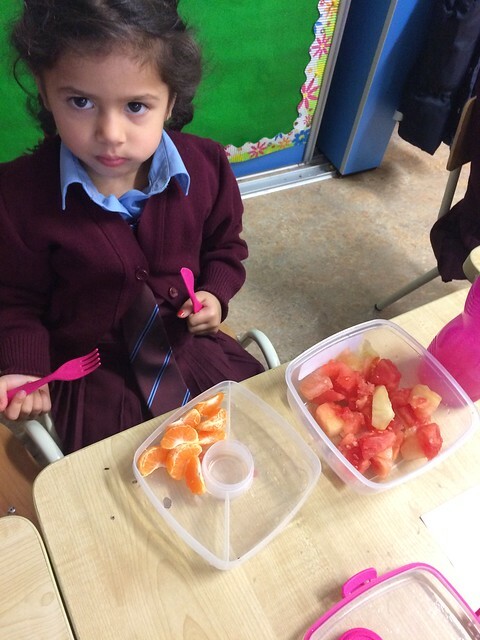 The girls learned about healthy lunches and tried lots of different fruits and vegetables, including sugar snap peas, peppers, potatoes and watermelon. The girls really enjoyed this and have already started incorporating these foods into their lunches.